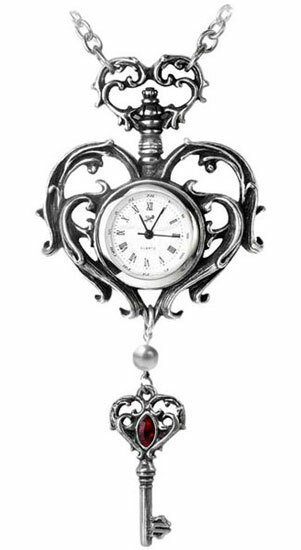 Heart shaped key Victorian style necklace watch with 25mm diameter quartz movement. 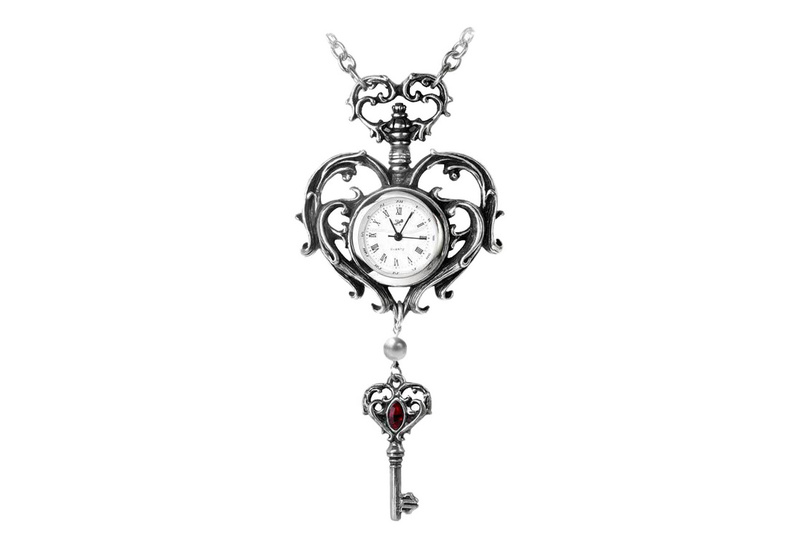 Made of fine polished English pewter with antiqued finish, Swarovski crystal and pearl. Measures approximately 4.14 inches wide, 2.13 inches high and 0.2 inches deep with 32 inch chain. By Gothic Alchemy.